Reviews and thoughts about films both recent and ones we can’t get enough of! Another year has gone by, and what a year of movies it was. A lot of franchise movies and big blockbuster hits in the summer, but also some niches films that really shone. Here’s my top 10 picks of the movies of 2013. The latest instalment of the Fast and the Furious franchise is my number 10 pick; it’s fast-paced, action-packed, but is also personal and family orientated with the reintroduction of Michelle Rodriguez’s character. The ending left the movie series in a fantastic place, still riding high at box offices, and bringing in Jason Statham as the next villain. 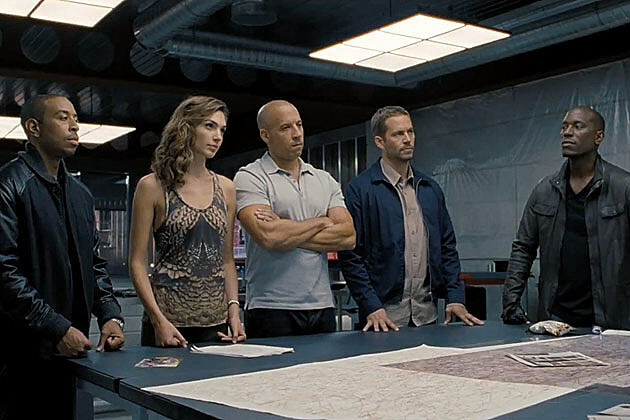 However, due to the tragic and untimely death of Paul Walker fans have to wait a little longer for Fast 7 and this will remain Walker’s last completed movie for the franchise. Hugh Jackman and Jake Gyllenhaal star in this crime drama which sees the kidnapping of two children on a Thanksgiving weekend. 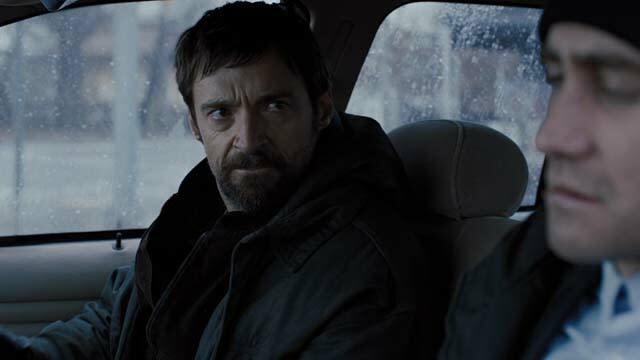 This is a brilliant psychological drama in which Jackman’s character Keller Dover takes matters into his own hands kidnapping and torturing a man whom he believes is involved in the kidnappings. The film presents a man who blurs the lines of what is right and what is wrong, and the audience is forced to question the moral correctness of what is happening. A tense and gripping drama. So during post production of Marvel’s big comic book movie collaboration Avengers Assemble, what does Joss Whedon do? Oh he shoots a black and white movie in his own home helped by his alumni cast members from his shows. After a year, it finally made it to selected theatres and it was such a treat – Amy Acker and Alexis Denisof as Beatrice and Benedict were a great match for each other, and it was lovely to see that chemistry resurrect itself from the days of Angel. The black and white look of the film gives the film an edge and just makes it all the more beautiful. Long may the genius of Joss Whedon live. Marvel’s second film in its Phase 2 plan, the sequel for its Asgardian God Thor reunites Chris Hemsworth, Natalie Portman, Anthony Hopkins and Marvel’s secret weapon Tom Hiddleston in a film that is certainly better than its first outing. The brotherly banter between Thor and Loki is one of the high points of the film, with Hemsworth and Hiddleston’s chemistry shining through. The Oscar nominated film took the box office by storm at the back end of last year. This 90 minute thrill ride was both visually beautiful and thematically, exploring the notions of life, death and also rebirth. It fully deserves the attention its getting and is so worth a watch. The middle film in the Hobbit trilogy helmed again by Peter Jackson is action-packed, adventurous and flows a lot better than the first outing. I was never bored during this film, something that I felt at times during the first Hobbit film. Martin Freeman again flourishes as Bilbo, and with the addition of Evangeline Lily, Luke Evans and the return of Orlando Bloom as Legolas the film takes off and becomes a blockbuster of a movie. 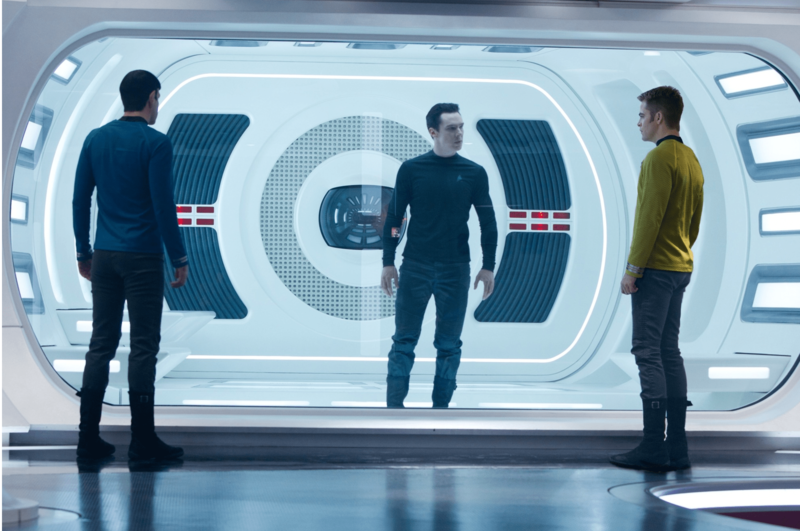 The much awaited sequel to JJ Abrams rebooted Star Trek found its way into cinemas last May and what a treat it ended up being – like many things Abrams does it was shrouded in secrecy, but that didn’t stop fans speculating about villain Benedict Cumberbatch’s role in the movie (if you want to find out whether he is in fact Khan, go check out the movie). 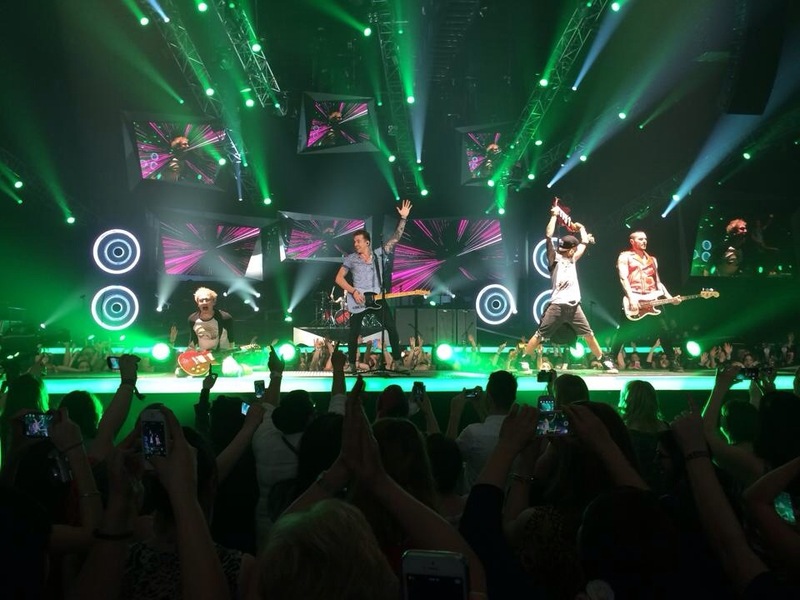 It was an adrenaline ride and definitely one of the early hits of the summer. The third (and possibly final) stand alone Iron Man film probably saved the best until last, with more laughs, but also more humanity and anguish for Robert Downey Jr.’s Tony Stark who spends much of this film still dealing with the aftermath of the battle of New York from Avengers Assemble. Iron Man 3 kicked off Marvel’s Phase 2 campaign and was a banker in terms of money, but a risk with Shane Black stepping in to direct. However, it took off like a rocket, and the ending felt like a nice closed chapter point for the character. After looking at everything I’d seen that had came out in 2013, the second instalment of The Hunger Games, clinched everything; it was a blockbuster movie that had blockbuster performances, a fantastic pace, and a disquieting theme. When I walked out the cinema I wanted to turn around and watch it all again (which I did a week later). Even though it does verge on the over-running borders, the action and the tension is ramped up through every scene and all the elements come together to make this my number 1 film of last year. Peeta: You have to live. For them. Katniss: I do. I need you. Jennifer Lawrence has had an incredible couple of years; after landing the lead role in The Hunger Games franchise as Catniss Everdeen, she led the film to serious box office success. She then went on to join the X-Men franchise as a young Mystique and starred in Silver Linings Playbook, a movie that would change her life and see her become one of the youngest actresses to win a Best Actress Oscar. J-Law as she’s now affectionately known is one of Hollywood’s hottest young stars (and a brilliant role-model) and she returns to the role of Catniss in this next instalment Catching Fire which sees Catniss having to deal with the choices she made in the previous Games. The film opens with Catniss back in District 12, she and her family may have moved into a better life in the victory village, however life in 12 is still hard and wearisome, and she hasn’t forgotten her roots, hunting with love interest no.1 Gale (Liam Hemsworth). As her and love interest no.2 Peeta (Josh Hutcherson) are due to go on a tour of the Districts, it’s apparent that the two of them are not on good terms, Peeta finding her deceit about her feelings toward him difficult to take. As the trip gets underway though, the two come to an understanding and start to re-bond over their shared experience. Lawrence has an easy chemistry with both men, but it’s her scenes with Hutcherson that I love the most; it’s easy to see that Katniss is trying to kid herself that she doesn’t have feelings for Peeta, but at the same time they both convey the care and love they feel for one another. The stakes are much higher in this film, particularly politically for Katniss as she faces pressure from President Snow (played brilliantly by Donald Sutherland) to keep a rising rebellion forming in some of the districts. Katniss and Peeta are forced to put on a show during their trip, and continue to act out a lie. When they think it’s over Snow announces that the next Games will feature those that have already won past games, in an effort to try and eliminate the threat of Katniss. Katniss and Peeta must then forget everything they learnt in the last games as they must align themselves with other tributes in order to stay alive and survive the games. Jennifer Lawrence carries this movie effortlessly, with beautiful poise and elegance at times but she’s also not afraid to show Katniss’ vulnerability. It does beg the question how would these movies have fared with another actress in the leading role but thankfully this never has to be questioned with Lawrence. The PTSD that Katniss is clearly suffering from after the games is highlighted by Lawrence in certain moments, particularly the way she reacts to finding out she will have to face the Games once more. With Jennifer Lawrence, Josh Hutcherson and Liam Hemsworth, the franchise has three young actors with a brilliant chemistry and unity, making it the success that it has become. Of course the other supporting cast members also have a role to play and there’s certainly a few standout performances; Woody Harrelson returns once again as Hamich in a role I adore him in. He’s hardened by what he has seen and knows how to play the game, coming across as direct; he really does care about his two new charges, particularly Katniss. There’s almost a fatherly bond he develops with the two, but he never doubts them, simply telling them both to ‘stay alive’. Elizabeth Banks plays Effie with a lot more emotional charge during this film as the character too has bonded mores so with these two tributes; behind the affluent costumes, hair and make-up that Banks has to contend with, there is a heartbreaking performance. Donald Sutherland is also able to develop Snow much more so in this film as he’s further portrayed as the patriarch of all people, but underneath is a dark side, fuelled by his need for power and dominance. Of the new cast, the late Philip Seymour Hoffman is brilliant as the new games maker Plutarch Heavensbee, who all along has a secret agenda to help Katniss become the leader of a rebellion that Snow has feared all along. Two of the new tributes also stand out in the forms of Sam Claflin as Finnick and Jena Malone as Johanna, each aligning themselves with our lovers from District 12. Claflin brings a sense of distrust to his character, the audience never completely sure to believe that he wants to help but also bringing his sheer loyalty to the surface with his connection to a fellow tribute as he refuses to leave her. Malone takes whatever she is given and completely runs with it, with her character becoming an instant standout. The franchise has perhaps performed so well in the box office and gained critical success not only because of the acting bones behind it but also due to its subject matter; the concept of a Battle Royale style future where children are forced to kill one another in a reality show concept is quite a grim subject matter. The filmmakers don’t water the concept down as well to reach younger audiences as several moments in the film are hard to watch. When a man is taken from the crowd and shot in front of hundreds of horrified faces; when Gale is whipped viciously in the centre of a square and when Stanley Tucci’s Caesar announces that after tonight all but one competitor will never be seen again (an albeit harsh fact), but then breaks into hysterical laughter, a grin and applause is a complete juxtaposition. It can perhaps all be summed up when Katniss glances at her younger sibling, taking charge of Gales wounds after he has been beaten by the Capitol’s version of the police – she realises she has had to grow up extremely quickly because of the life they live in. As well as the overall theme of the movie, the action sequences of the games are just as intense as the last movie; it’s not so much about the hiding in these games but about the obstacles that are put in their way. Deathly fog, killer monkeys, blood rain are just the tip of these games and they offer an intense, adrenaline ride for the second half of the movie. New director Francis Lawrence picks up the reigns of the franchise and gives us a movie to remember which flows brilliantly thanks to its well-gauged pacing, which could have easily felt dragged thanks to its impressive running time. As the movie closes, the larger scale plan emerges with the simple phrase ‘Remember who the real enemy is’. That lasting image of Lawrence’s face morphing into a steely determination summons the final instalment Mockingjay which follows the pattern of many film franchises and is splitting the book into two films. What’s clear is that The Hunger Games train isn’t de-railing any time soon, and with Jennifer Lawrence at the helm, it is in safe hands. So it was the Golden Globes this past weekend thus starting the official run of Awards Season – quite possibly my favourite time of year. Although there have already been several film critics’ awards, the Globes marks the start of the heavyweight ceremonies, leading up the King of them all – the Oscars. Most years I’ve paid attention during awards season but last year I got quite involved in the run up and this year I’ve made it my mission to watch many of them, so look out for my reviews of them in the next few months. So here is my rundown of what films to watch out for over the next few months and why. David O’Russell reunites Bradley Cooper and Jennifer Lawrence from last year’s triumph Silver Linings Playbook and Christian Bale and Amy Adams from The Fighter and creates a fantastic ensemble drama with some stellar powerhouse performances which could see each of the four names above being nominated in the respective acting categories. The film performed really well at the Globes last night, with 3 acting wins and the best picture in a comedy/musical. O’Russell will probably get directing nominations and I could see it getting make-up and hair noms for its fantastic 70’s do’s. The true story of a man who is sold into slavery in America has been gaining momentum since the summer, and going into awards season is the frontrunner for Best Film. Chiwetel Ejiofo is also looking like a strong contender for Best Actor (for keen geeks, recognise him from Serenity? ), and director Steve McQueen is looking good for a best director nomination. Matthew McConaughey further cements his place in serious acting roles with his turn as an AIDS sufferer in the movie, where he famously dropped a tonne of wait for the role – I’m sure he’ll pop up for acting nominations, but faces stiff competition. We can also expect Jared Leto to be in the running for Best Supporting Actor. This animated movie is certain for a nod for Best Original Song and Best Animated movie – it’s a magical movie and beautifully made. After it gained huge success at the Cannes Film Festival, surely this is one of the frontrunners for Best Foreign Film? 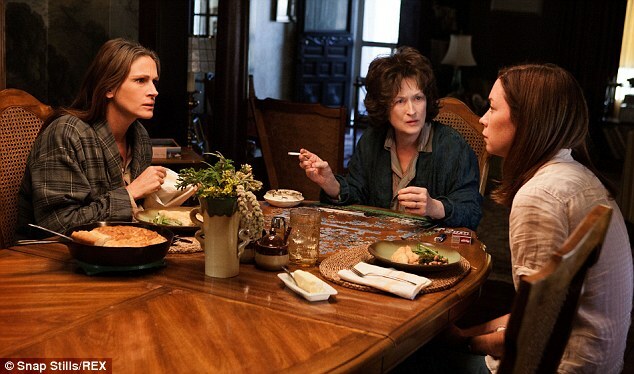 This ensemble cast is led by powerhouses Julia Roberts and Meryl Streep and deals with a dysfunctional family unit. It’s an outsider in terms of the frontrunners, but it looks like a great movie! This heart-warming true story could see a fair few acting nominations for Judi Dench who gives a stellar performance. 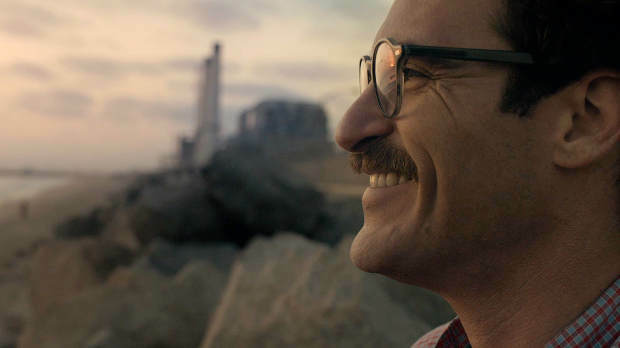 Spike Jones’ film is gaining in its popularity and could see it being nominated for best film but also for Joaquin Phoenix’s performance as a man who falls in love with a computerised voice. A film about a young country singer is the dark horse in this year’s awards films; with the film coming from the pot of the Coen brothers, anything is possible. Best Director(s), Best Screenplay are all possible nominations. 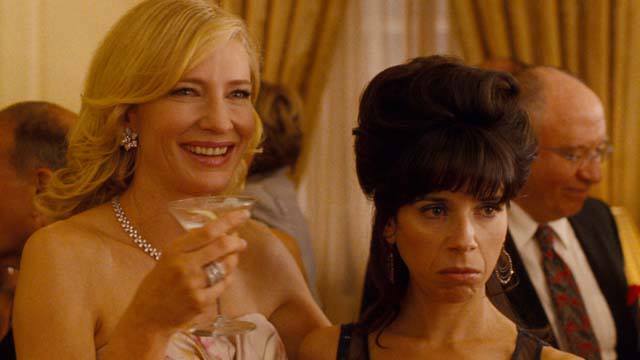 Woody Allen’s latest film has a banker in its books in the form of Cate Blanchett – she’s an awards machine and is a shoe-in for the Best Actress title. Allen could get Best Director nominations as well as Sally Hawkins receiving Best Supporting Actress nods. This tense drama involved Robert Redford lost at sea, contending with dangerous conditions (basically a slightly different version of Gravity). However, critics are calling this film one of Redford’s finest performances, so don’t be surprised if he receives nominations through the series. This Alfonso Cuarón film was a non-stop tense and magical ride when I saw it a few months ago, and Cuarón’s win at last night’s Globes cements him as one of the favourites to take home the Best Director prizes. 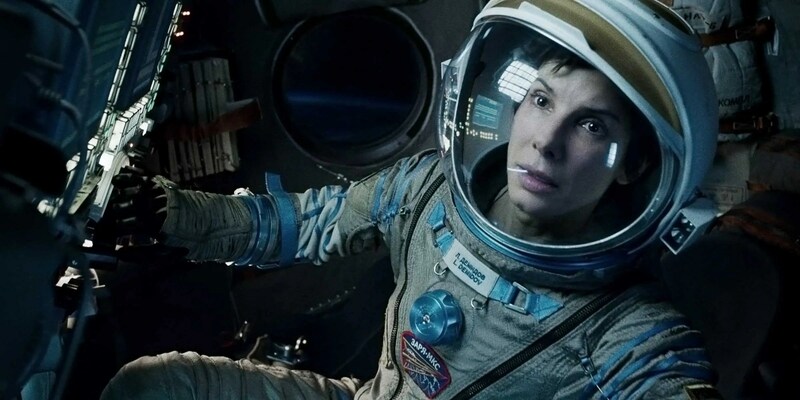 Sandra Bullock could also pick up Best Actress nominations. 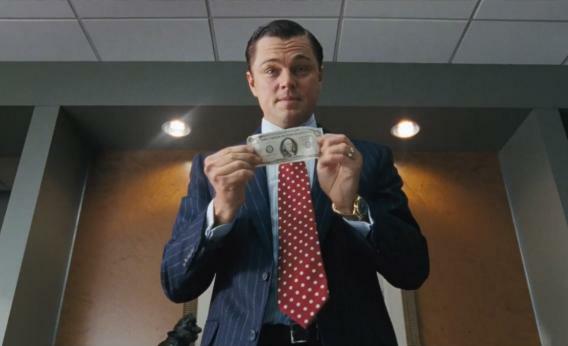 Martin Scorsese’s latest film about a stock broker who over-drinks, uses drugs, creates debauchery and generally throws money away in a relentless morally corrupt story. Scorsese will probably see plenty of Director nominations, whilst DiCaprio could be the dark horse for Best Actor, particularly after picking up the award at last night’s Globes. Could this finally be his year? The Oscar nominations are announced on Thursday, and until the ceremony on March 2nd, I’ll be keeping my eyes peeled on the awards season with keen interest.